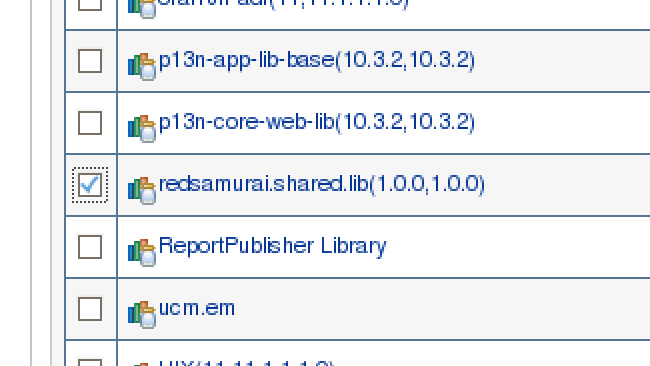 If you had a chance to extend WebCenter Spaces previous to 11.1.1.8 Portal release, you perhaps would agree - it was not that easy. 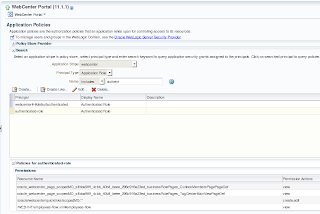 Good news - with the latest WebCenter Portal 11.1.1.8 release, extending WebCenter Portal process became simpler and more stable. 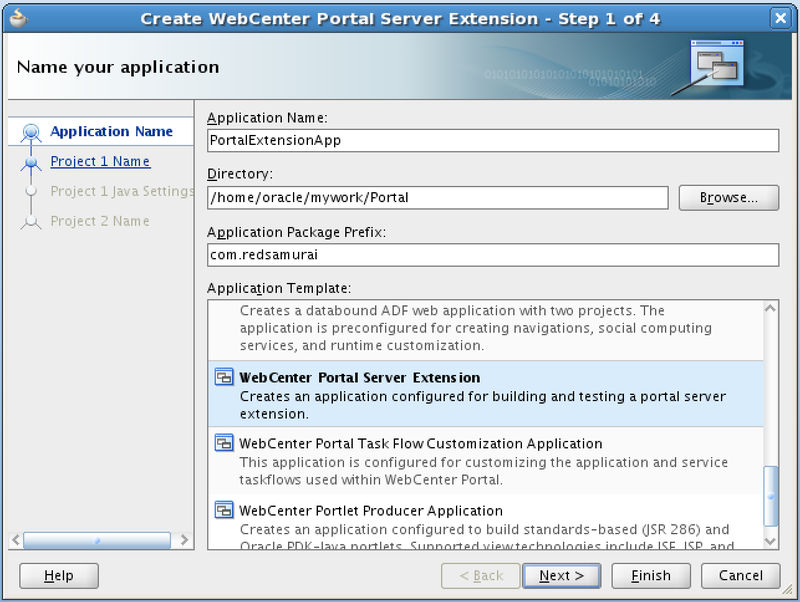 There is special JDeveloper application template provided, designed to extend WebCenter Portal with custom ADF Task Flows and Java code. 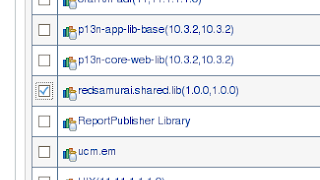 You can read more about it in WebCenter 11.1.1.8 Developer guide here. 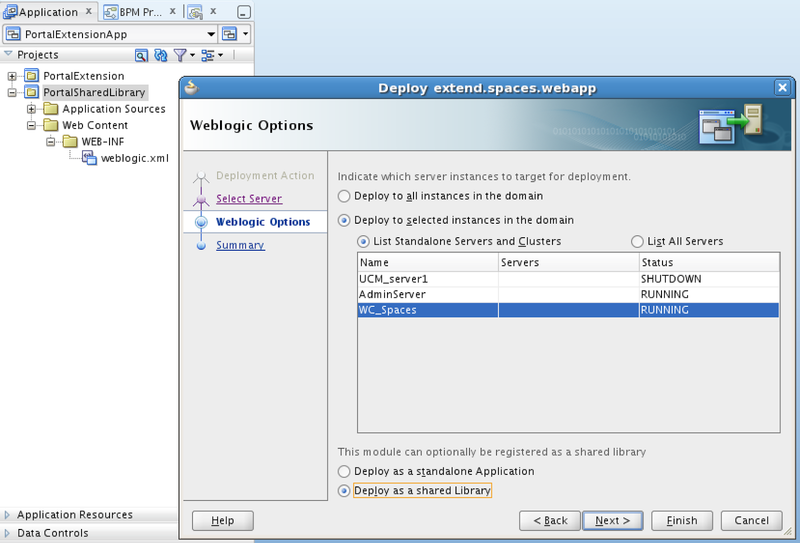 Check how complicated it was to extend WebCenter Spaces before - What Else Can Go Wrong when Extending WebCenter Spaces. 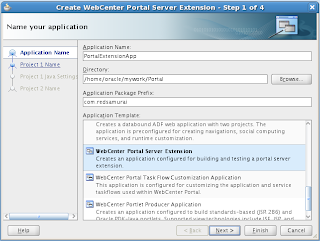 Here you can download - webcenter_extend_ps7.zip example with WebCenter Portal Server Extension application, including custom library reference. 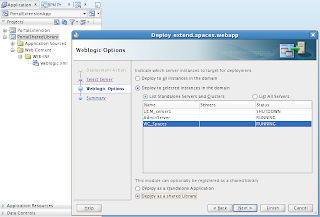 Shared library deployment application is packaged into sample application as well, this one is taken from my previous blog post mentioned above. Very useful Andrejus, thank you. 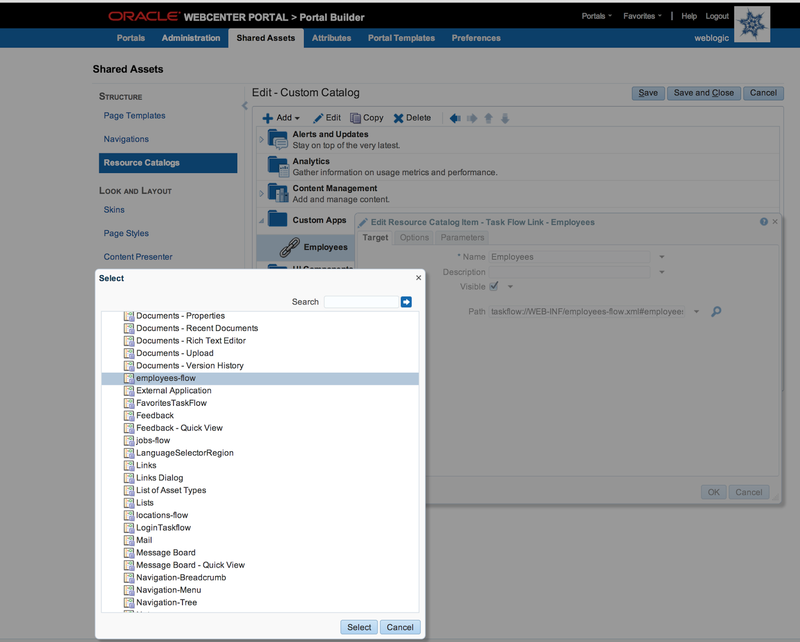 If the taskflow contains custom BPM worklist and then we import task flow into webcenter application, will the bpm worklist appear within Webcenter? I think, it should appear. I have problem when my custom taskflow is consuming a portlet. Everything works fine when running the taskflow on the integrated wls. But when i att the taskflow to a page using portalbuilder the portlet failes. 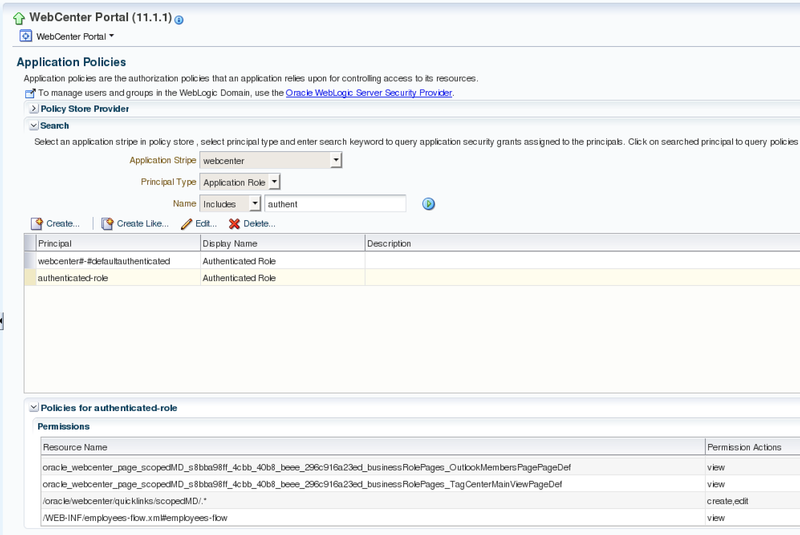 If i add the portlet directly to the page using portal builder everything works fine. Any idea where i should start looking to fix it? The error in the log is "the metadata for portlet binding was not found in mds". Then again I revert it back to old version and restarted server anyway I am able to get back my webcenter portal builder screen . Please suggest.